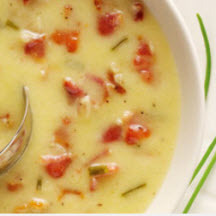 CooksRecipes has quality, kitchen-tested recipes for savory sauces and gravies that you can count on for successful deliciousness. 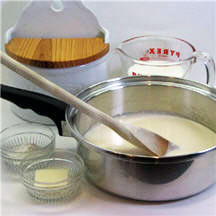 Bechamel (or white sauce) is one of the five mother sauces. This basic sauce is used as the base for favorite dishes like macaroni and cheese and scalloped potatoes. This flavorful butter sauce pairs well with vegetables, turkey, steak and potatoes. 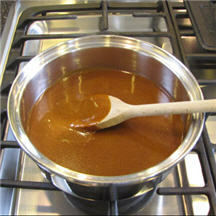 Use this quick and easy-to-make, economical sauce to prepare enchiladas or any recipe calling for enchilada sauce.